A number of Florida beachgoers recently have found themselves suffering from red, itchy rashes, fever, nausea and chills due to a recent eruption of stinging sea lice along the shores of Pensacola Beach. Before you take your family for a day at the beach you want to ensure you are aware of the risks! While the name ‘sea lice’ may make you think about small bugs and parasites, they actually aren’t similar to lice, as we know them, at all. Instead, experts state that they are jellyfish larvae, specifically, they believe, an incredibly small species called the thimble jellyfish. Their incredibly small size combined with the fact that they are translucent makes it so that they are nearly invisible to the human eye when they are in the water, making it incredibly difficult to avoid them. While their presence is nothing new, the recent wave of beachgoers reporting the condition known as ‘sea lice’ or ‘sea bather’s eruption’ has led local officials to place purple flags along the coast, warning both locals and tourists of the wildlife that are present in the water. Sea bather’s eruption earned its name due to the fact that it isn’t an immediate response to exposure. Instead, those who are affected report a severe reaction four to six hours after leaving the water. This includes fever, chills, headaches, nausea, and extreme itching that can last up to two weeks. The bites may present as a red rash or a series of small blisters along the skin. The presence of sea lice doesn’t mean that you need to avoid all Florida beaches entirely (although some of us may choose to do exactly that), however, there are steps that you can take to lower your risk of being bitten or experiencing adverse side effects. Pay attention to the warning signs and water-safety information in the area, as beach officials will advise which beach areas should be avoided upon detecting sea lice. 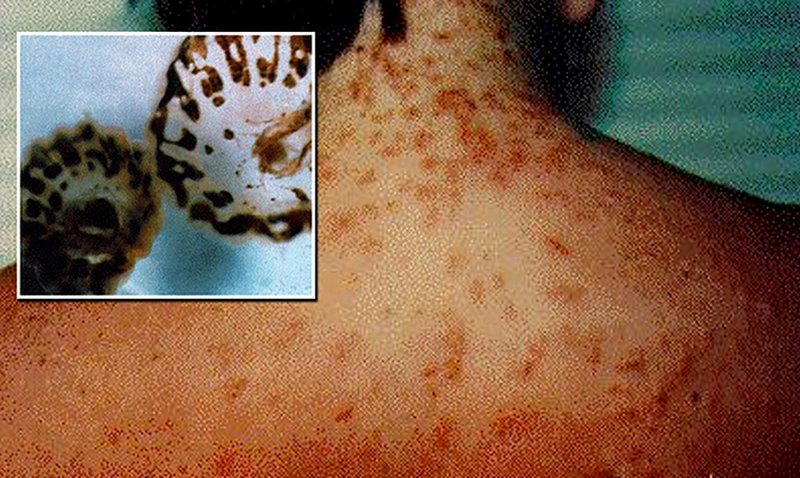 Officials recommend avoiding additional clothing that may trap the sea lice near the skin such as t-shirts when swimming. There is also evidence that wearing sunscreen may help to prevent a problem by protecting the skin. Finally, if you have been swimming, even if there aren’t posted warnings at the time, take a shower immediately after, removing your bathing suit and being sure to clean all skin thoroughly.